This is a question that I get asked a lot, and one, as is often the case, which does not have an easy answer. This is a question which is deserving of some attention and the following article will try to resolve it. Indeed, I am often asked if it is better to buy a 35 mm or a 50 mm f/1.8 for use with an APS-C sensor, since 35 mm corresponds to “human vision”. As usual, the answer is not a simple yes or no, but an “it depends”. I will not be reiterating everything that I already mentioned in the article dealing with sensor size, but just to summarize, on a camera with an APS-C sensor (a reflex or hybrid by the way), a 35 mm lens is the equivalent of a 50 mm on a 24×36 film camera (real focal length), and a 50 mm is equivalent to an 85 mm on a 24×36 film camera. What does this imply? 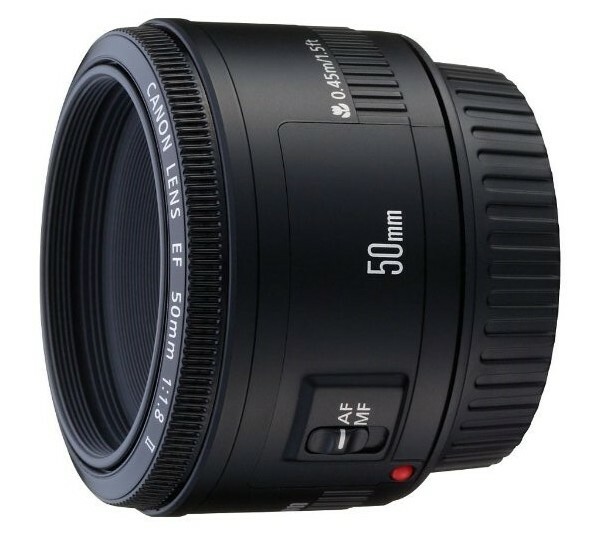 The 50 mm real focal length is what is called the “standard” focal length, meaning that it is the one which will give the closest angle of view to that of the human eye: not too wide-angle (that is to say an angle of view wider than that of the human eye – which captures more of a scene), nor too zoom (meaning a narrower viewing angle – which makes the scene look bigger). An 85 mm lens will have a little bit of a zoom effect. That is to say that it will make the subject seem “closer” – that doesn’t mean that it will be able to capture the hairs on a fly from 300 meters away. Now you know the difference between the two lenses, buy you still might be wondering which one to choose. And that is probably because you have not defined your needs: which is always THE fist question that you should ask yourself when you are choosing hardware. It is worth mentioning that one of the reasons why the 50 mm f/1.8 is so often recommended is its price. Indeed, it offers all of the advantages that I mentioned at the beginning of the article, but above all it offers them for an almost inconsequential price without any reduction in optical quality. Being able to buy a lens for under 100 dollars these days is almost miraculous. If the 35 mm f/1.8 sold for that price, it would undoubtedly be just as highly recommended. Only, the 35 mm f/1.8 is generally more expensive. 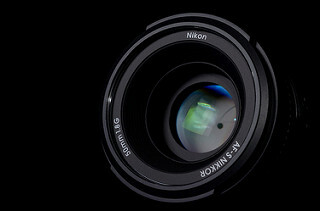 Therefore, if you are interesting in testing the advantages of a very wide aperture (in terms of its ability to cope with low light or short depth of field situations) and of a fixed foal length while spending the least possible amount of money, then the 50 mm f/1.8 is the clear choice. It will always be useful for something anyway. However, if your budget allows you to buy a 35 mm lens (which is not really that much more expensive – around 200-300$), then which of the two lenses should you choose? Due to its more neutral focal length, the 35 mm f/1.8 is more versatile. If you want to use it for street photography, daily photography or group photos, make sure to close the diaphragm a little bit in order to keep everything in focus. If you are using a micro 4:3 ratio hybrid, the 20 mm f/1.7 (equivalent to a 40 mm for a 24×36 film camera) is also ideal for this type of use. Fixed focal length lenses with a wide aperture opening are often sold as “portrait” lenses, however be careful not to get too close to your subject with this type of lens, since you will deform the face (the famous “big nose effect” due to perspective). Do not get any closer than you would for taking a bust shot and avoid taking close-up shots. The 50 mm lens is less versatile in terms of focal length. Oftentimes, when used to take a group photo, it will require that you back up very far in order to fit everyone into the frame. However, it excels at one thing: portraiture. It can even be used to take close-up portraits, like the picture seen opposite. However, do not focus on too small a portion of the face, because like for the 35 mm lens, you will end up deforming the face’s features. But, in general, the 50 mm lens is very good in this regard, making it possible for you to achieve all of the classic portrait poses without too much difficulty. Again, everything depends on what you intend to do with the lens. If you are still hesitating between the two, use this simple method: mount the zoom that came in the kit with your camera and lock the setting to 35 mm for a day or a week by using a piece of tape for example. See if you feel comfortable with this focal length. Next, do the same thing with a 50 mm setting. You will quickly discover which of the two focal lengths is better suited to your particular usage. I hope that this article will help you solve your dilemma. 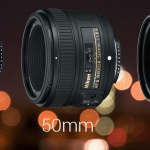 What do you prefer: 35 or 50 mm? 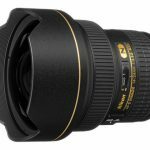 Next How To Choose a Perfect Lens for Your DLSR Camera?